It is well known that ticks and mosquitoes are not only nuisances but are also carry debilitating diseases such as the Zika Virus, and Lyme Disease. These are diseases that you definitely don’t want to contract yourself, and especially don’t want family or friends to get on your property. There are some natural mosquito repellent options but most of them have questionable efficiency. One option is citronella candles, which never really seem to work at all. What if there were a natural option for mosquito party spraying or tick control that actually worked? That’s where we come in. At East End Tick Control®, we have come up with our own natural formula that will kill ticks and mosquitoes, and keep them away. If you’re planning a party on your property, or frequently spend time in your backyard one of the last things you want is your family, friends, and yourself being eaten alive by mosquitoes. This makes what would otherwise be a great time dampened by the fact everyone will be itchy for days afterward. If you don’t want this to happen to you, consider our organic mosquito spraying for your property. We’ve come up with a proprietary blend of mosquito repellent and insecticide that is completely natural and guilt-free to use on your property. 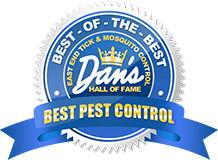 We know many people would like to control the population of bugs on their property such as mosquitoes, but may be scared by the harsh chemicals of other methods. Maybe you have a garden on your property you’re afraid will be harmed, or maybe you’re worried about the effect it may have on your family. Regardless of your reason, we have decided to offer a solution for your desire for natural mosquito control. The presence of ticks in your yard is one of the last things you want to see. Not only do they bite humans and transmit diseases, but they are also a danger to pets. These arachnids are also hardy little animals that are nearly impossible to ward off your property without the help of a professional. That’s why if your yard is infested with ticks you should give East End Tick and Mosquito® control a call. We have natural tick control options we can use to get rid of these nuisances. We have a proprietary blend of natural tick sprays that exterminates ticks and keeps them away. These organic tick control solutions we offer are perfect for those who want to get rid of ticks and keep them away in a sustainable fashion. 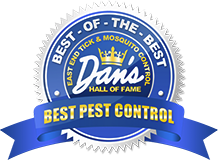 For more information on East End Tick Control®, contact us or call (631) 324-9700.